The Penn State’s Undergraduate Exhibition communicates and celebrates the participation of undergraduate students from across the University in scholarly inquiry, research and creative endeavors. 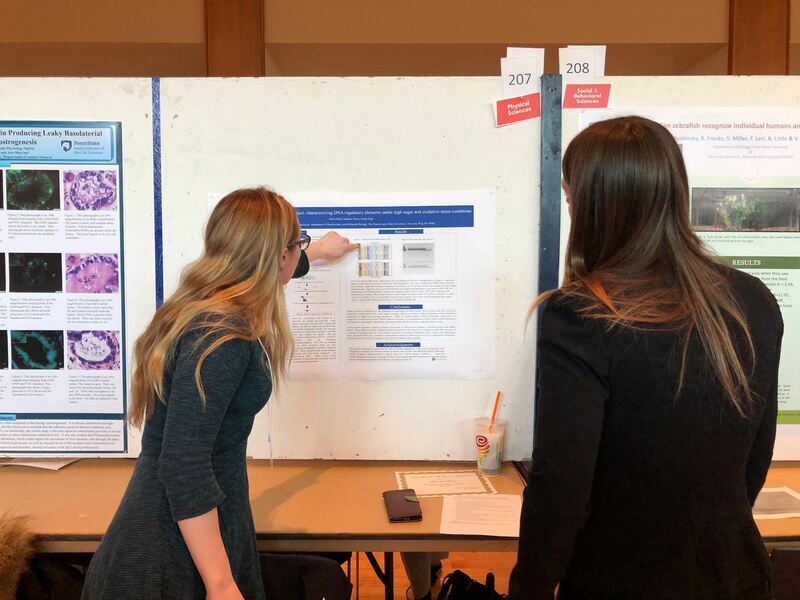 Students from all Penn State campuses are eligible to enter one of three formats for sharing research and creative inquiry in the Undergraduate Exhibition in public sessions. 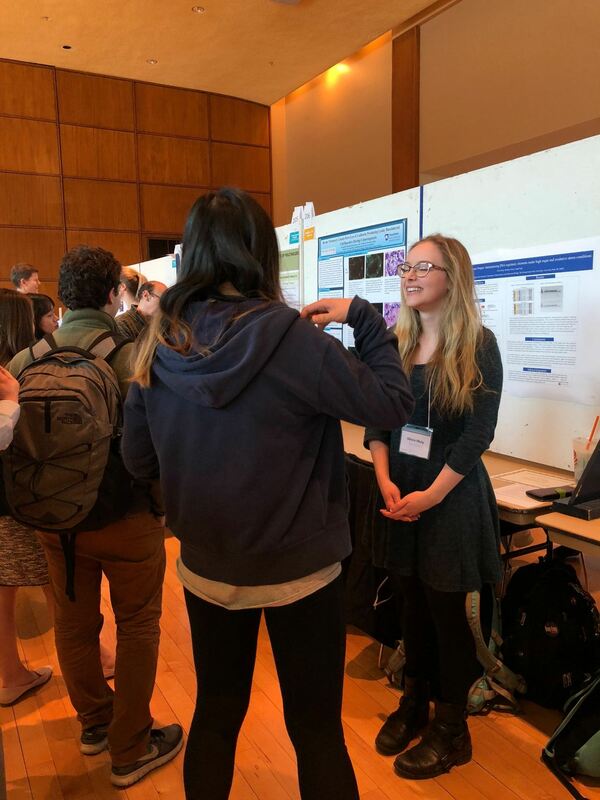 Pugh Lab Undergraduate Researcher Olivia Muly presented her poster Wednesday evening at this Exhibition. 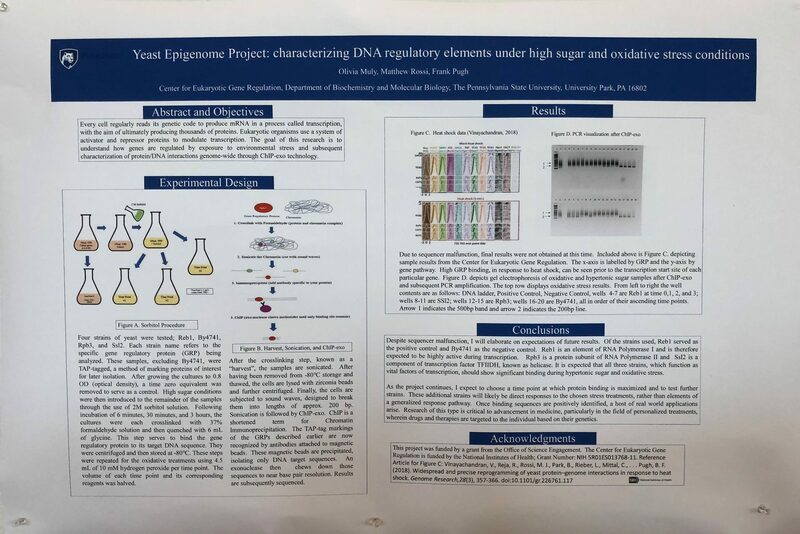 The poster outlined her Pugh Lab research on characterizing DNA regulatory elements in yeast under high sugar and oxidative stress conditions. Every cell regularly reads its genetic code to produce mRNA in a process called transcription, with the aim of ultimately producing thousands of proteins. Eukaryotic organisms use a system of activator and repressor proteins to modulate transcription. 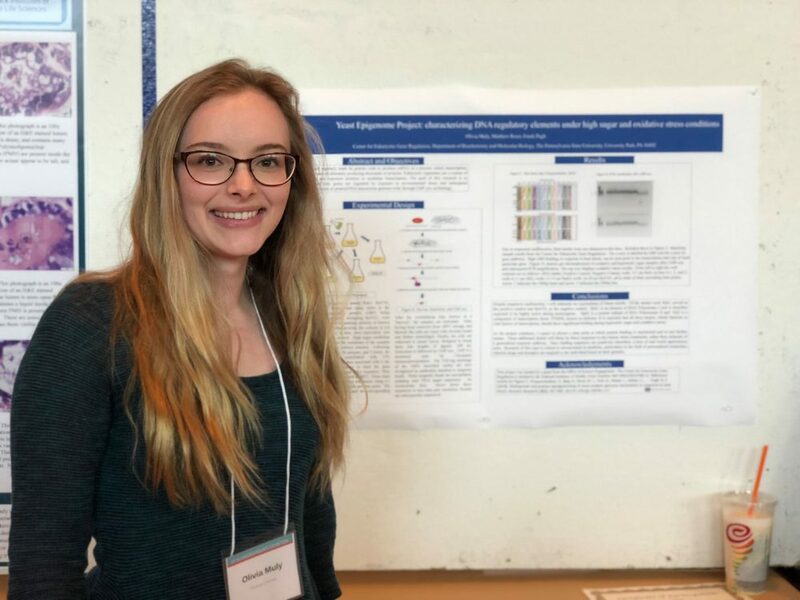 The goal of her research is to understand how genes are regulated by exposure to environmental stress and subsequent characterization of protein/DNA interactions genome-wide through ChIP-exo technology. 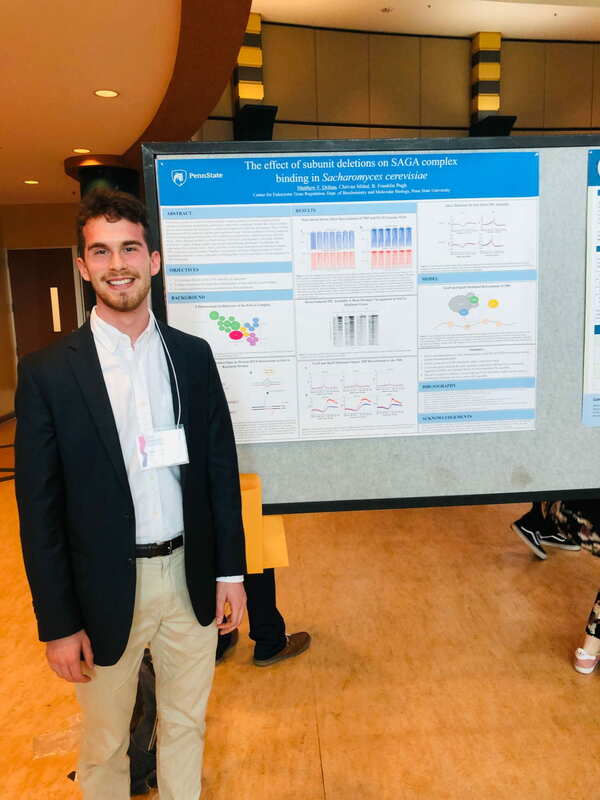 We are very proud of Olivia and are excited to continue fostering her research. Congratulations on your first poster presentation Olivia! For more information about our student researchers or opportunities to join the lab please click here! Pugh lab has a job opening for a Research Technician! This is a full time staff-level position with Penn State and thus includes all the benefits and pay scales pertaining to university employees. The start date would be early May 2018. Our research techs conduct molecular biology experiments such as; ChIP-seq, PCR, gel electrophoresis and cell culturing using standard protocols that we train them in. Competitive applicants have a GPA >3.0, have excelled in molecular biology laboratory classes, and have a commitment time frame of 1-2 years. 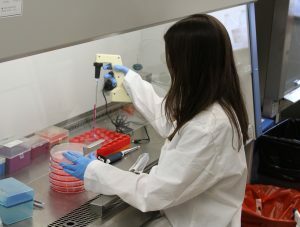 Past technicians utilized this opportunity to gain additional laboratory experience before heading off into other professional training programs. Applications must be submitted electronically and include a cover letter and resume. To submit an application click here. Recent university graduates are welcome to apply! Happy International Womens Day! Pugh Labs, like The Pennsylvania State University, is committed to advancing diversity and inclusion. We hope to foster a culture of inclusive excellence that leverages the educational benefits of diversity, and engages all individuals to help them thrive. We value inclusive excellence as an essential element of our research mission. For that reason today is a special day at Pugh Lab as we celebrate our Women scientists. 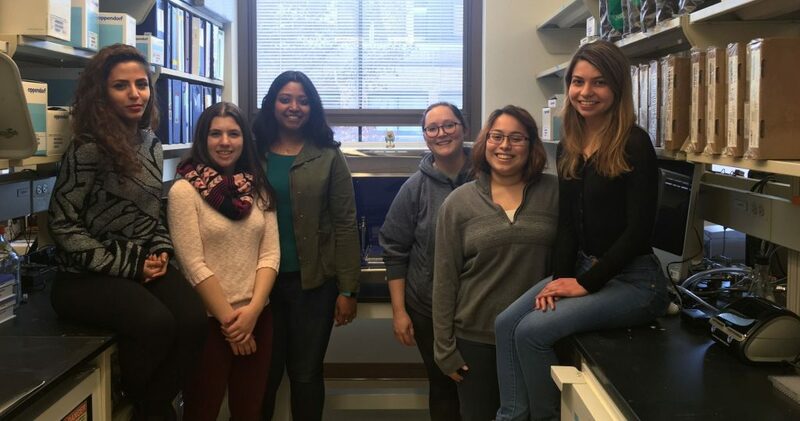 The women in Pugh Lab are integral to furthering our research and innovate both in computation and at the bench! Thank you ladies for contributing to the future of epigenetics! 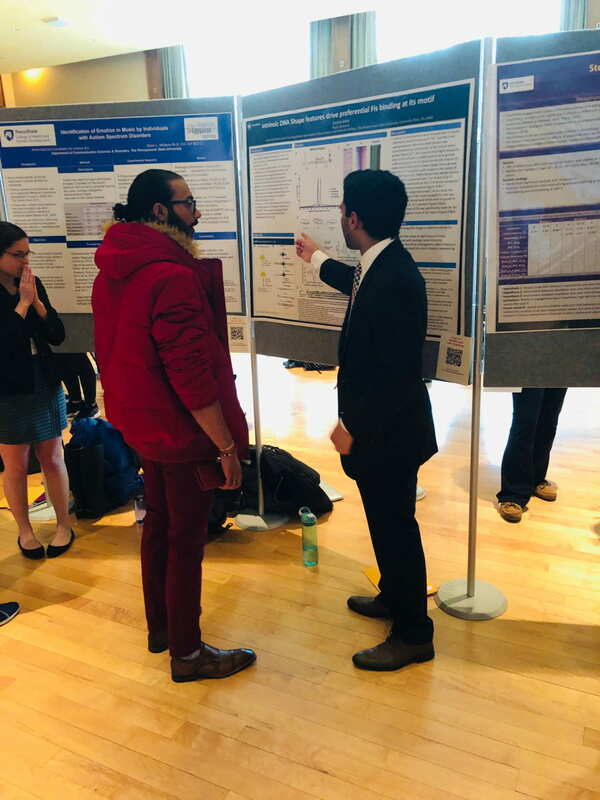 We have openings for prospective graduate students, postdocs and research technologists who want to learn and contribute to the rapidly developing field of bioinformatics for genomic discovery. Those who are interested should contact Dr. Pugh. Silly Week 2017 – Happy Halloween from PughLab! Not every day has to be the same-old routine. The Pugh Lab tech team hosted “Silly Week” during the week of October 30th, 2017. Each day will have a theme, listed below, and every day that members participate they will be added to a drawing for the chance to win a prize! There will be three prizes and therefor three chances to win the drawing! Good luck everyone! 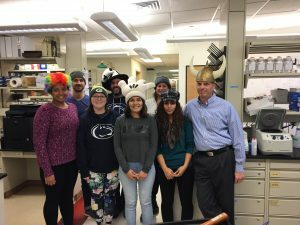 Monday, 30th: Hat Day/Hair Accessory Day – ball caps, scrunchies, blue and white hair paint, whatever! Read more Silly Week 2017 – Happy Halloween from PughLab! The Eberly College of Science at Penn State University invites nominees for the Eberly Research Fellowship program. Eberly Fellowships are designed to attract exceptional early career scientists to Penn State to enhance their career goals in the vibrant, highly collaborative environment of the Eberly College of Science and the broader STEM community of Penn State University. 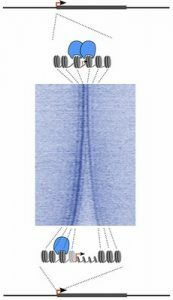 It was known that the DNA in cells is wrapped around proteins in structures called nucleosomes that resemble beads on a string, which allow the genetic material to be folded and compacted into a structure called chromatin. 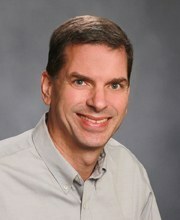 “We knew that the compaction into chromatin makes genes inaccessible to the cellular machinery necessary for gene expression, and we also knew that enzymes opened up the chromatin to specify which genes were accessible and could be expressed in a cell, but until now, we didn’t know the mechanism by which these enzymes functioned,” said B. Franklin Pugh, Evan Pugh Professor, Willaman Chair in Molecular Biology, and professor of biochemistry and molecular biology at Penn State University and one of the two corresponding authors of the paper along with Matthieu Gérard of the University of Paris-Sud in France. B. Franklin Pugh, Willaman Professor in Molecular Biology and professor of biochemistry and molecular biology at Penn State University, has been honored by the University with the title of Evan Pugh Professor. The title is the highest honor that Penn State bestows on a faculty member. 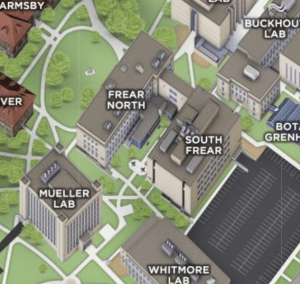 Scientists at Penn State University have achieved a major milestone in the attempt to assemble, in a test tube, entire chromosomes from their component parts. 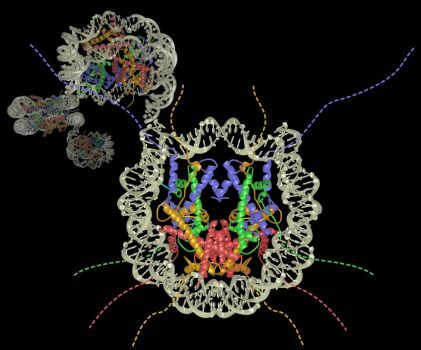 The achievement reveals the process a cell uses to package the basic building blocks of an organism’s entire genetic code — its genome. The evidence provided by early research with the new procedure overturns three previous theories of the genome-packaging process and opens the door to a new era of genome-wide biochemistry research. A paper describing the team’s achievement will be published in the journal Science on 20 May 2011.